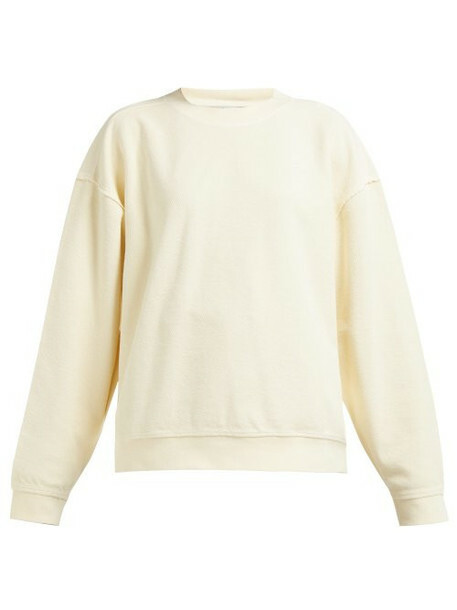 Acne Studios - This cream sweatshirt is elevated with raw-edged seams, showcasing Acne Studios' subversive aesthetic. It's crafted from loop-back cotton jersey that's underside is used for the sleeves and front while the smooth back adds contrast and it's finished with ribbed edges. Wear it over wide-leg checked trousers for a smart off-duty edit.